CSIA’s goals with NADCA including offering its members a discount on CSIA’s Certified Dryer Exhaust Technician (C-DET) review and examination for NADCA members interested in obtaining the C-DET credential. 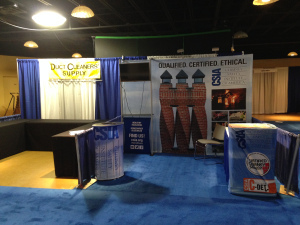 NADCA does not have a separate certification for dryer exhaust and stated they did not wish to develop one. 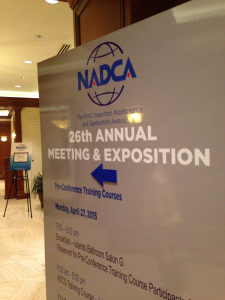 As part of the Memorandum of Understanding, CSIA is an exhibitor at NADCA’s 26th Annual Meeting & Exposition in Marco Island, Florida, and one of the C-DET instructors, John Bently, is leading a discussion on clothes dryer exhaust during NADCA’s educational sessions. CSIA staff’s mission is to promote our C-DET education and credential [you can learn about this on our website]. NADCA in 2014 created the Dryer Exhaust Duct Performance Standard (DEDP) which lays out NADCA’s research-based approach to testing the performance of residential dryer exhaust ducts in regards to testing of dryer exhaust duct performance and static pressure, performance of dryer exhaust ducts in new residential construction installations, and information to customers of conditions that may be impacting their dryer’s venting performance. Jodi Araujo, Executive Director, NADCA, of Mt. Laurel, New Jersey, explained the differences and similarities, with the key being that NADCA has cited CSIA and the Certified Dryer Exhaust Technician® (CDET) Program Reference Manual in its DEDP Standard. “While (CSIA’s) certification is robust, with a focus on inspecting and cleaning dryer exhaust systems, the DEDP Standard provides best practices in testing the dryer exhaust duct performance and static pressure. A key concept that must be understood when using this standard is a guiding principle that a professional dryer exhaust duct service provider has thoroughly agitated and extracted the dislodged lint from the dryer exhaust duct prior to performance testing,” Araujo said. CSIA has gotten tremendous feedback from attendees about their respect for the C-DET credential. To find a certified dryer exhaust technician go to dryersafety.org.